Volunteer at Fellowship Tract League & Proclaim the Gospel. Volunteer at Fellowship Tract League and proclaim the gospel to the whole creation. 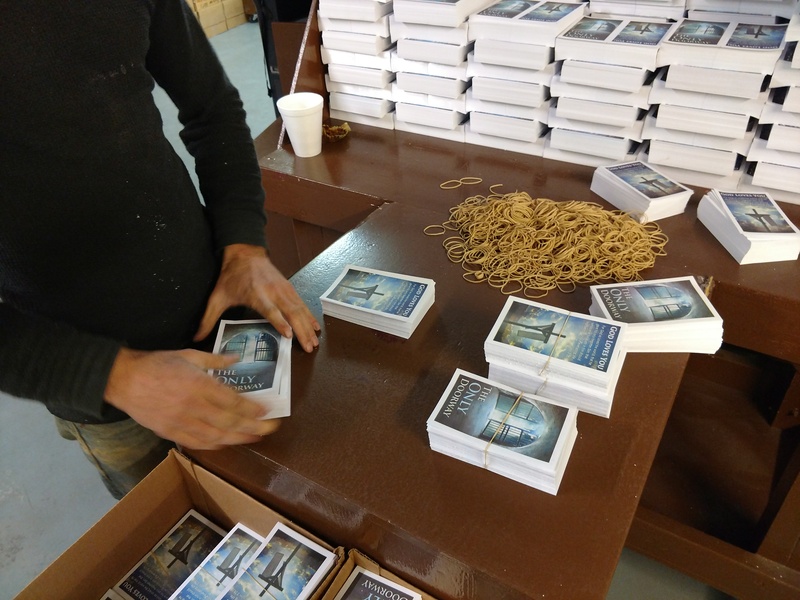 Fellowship Tract League in Lebanon, Ohio ships gospel tracts around the world. They are the largest free Christian gospel tract organization in the world. Show up at Fellowship Tract League on Tuesday morning around 9:00 am. Families and groups are welcome. If you want to let them know you are coming, call (513) 494-1075. Prepare the tracts for shipment. Easy work. Ask Director Chuck Stanbery for a tour of the facility. You will be encouraged to learn about gospel work going on around the world. Plan on leaving about noon or stay for lunch. Pray. Pray that God would work in these gospel tracts and gospel workers “to work and to will for his good pleasure.” Philippians 2:13. Note: Fellowship Tract League partners with local gospel workers in every geography. Faithful preachers and evangelists share the gospel. Then local churches disciple new believers. 120 million gospel tracts are shipped around the world every year. 4.7 Billion tracts have been distributed since 1978. 700 gospel tract orders are filled every week. #1 Cost of the ministry is …. Paper. Faith comes from hearing and hearing through the word of Christ. Romans 10:17. Go into all the world and proclaim the gospel to the whole creation. Mark 16:15. He who is wise wins souls. Proverbs 11:30. It has been said that evangelism is the heartbeat of God. Volunteer at Fellowship Tract League and proclaim the gospel to the whole creation. I volunteered at the FellowshipTract League for two years! I made many new friends there. It was fun breaking tracts together and praying over carton shipments that got sent all over the world! What a blessing to volunteer there and eat lunch with fellow believers. All for God’s glory! Mona, Please go to the Fellowship Tract League and order the gospel tracts. http://www.fellowshiptractleague.org/ We will praise God for your faithfulness and pray for fruit.